When your garage door needs repairs, it’s important to make sure you find a dependable company to help. That’s what you get when you rely on Action Garage Door to perform your repairs. As the leading garage door repair company in Leander, we can have our team of skilled technicians at your door promptly to get started on repairs. As a company with A+ accreditation from the Better Business Bureau, we offer outstanding repair services, as well as affordable pricing and around-the-clock availability for emergencies. Get in touch with Action Garage Door today to learn more about our garage door repair and installation services in Leander. Why Call Action Garage Door? Action Garage Door is your first choice in garage door repair in Leander. It isn’t just an inconvenience when your garage door is broken; it can be a safety hazard at your home or business. 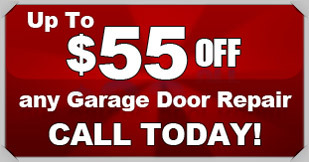 Don’t wait to get your garage door repaired. Call Action Garage Door and we will send one of our highly qualified garage door specialists. When you call us, you know the job will get done quickly and efficiently. We research to find the highest quality garage door parts. When you get a repair done by Action Garage Door, you know that it will be done right the first time. For over thirty years, we have been providing residents all over Leander with exceptional customer service. A garage door has the incredible ability to completely change the look of a home or business. We understand that every client is unique and has different needs. Our staff has the knowledge and expertise to work with you to create a perfect custom door. With a large variety of materials, we can install a garage door for any look or budget. Give us a call today to discuss your garage door. At Action Garage Door, we understand you have many needs when it comes to garage door service. For this reason, our garage door service goes way beyond simple repairs. Not only do we serve commercial as well as residential customers, we also offer great specials on a regular basis. 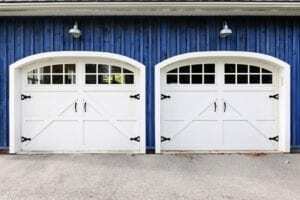 Garage doors typically last for a number of years, but they start wearing out over time. When you have a garage door that needs to be replaced, our experts in Leander can help. Action Garage Door carries a wide selection of garage doors for residential and commercial customers. When you come to us for your new garage door, we’ll help you select the one that suits your home or business the best. Our skilled team of technicians takes care of the installation process, so you’ll have a quality garage door that opens and closes as smoothly as possible. Call us for more information on our garage door installation, maintenance and repair services in Leander. Leander, TX makes it easy for residents to get to nearby Austin. The city, which has a population of 37,889, is located roughly 27 miles north of downtown Austin. Leander’s major employers include D&W Painting, Defense Contract Services Inc, Dennis Steel Inc and the Leander Independent School District. Residents in Leander earn an average income per capita of $28,445 or an average household income of $75,983. The city’s cost of living is slightly higher than the state average, but it’s also just below the national average, which makes it an affordable place to move to. The average cost of a home in Leander is around $154,500, which is higher than the state average of $131,400 and lower than the national average of $175,700. Leander provides residents an appealing location at the edge of Hill Country while still being close to Austin and all that it has to offer. The city has great schools and amenities, a strong community spirit and a number of special events to enjoy. Residents can attend Devine Lake Family Day and Kite Festival, Movies in the Park, the annual Christmas Parade, and Tree Lighting ceremony, Liberty Fest and Leander Bluegrass Festival. Those who are looking for other opportunities to be involved in Leander’s community can join the Chamber of Commerce, attend City Council meetings and events or join programs offered by the parks and recreation department, such as fitness classes. The city also offers several programs for active adults who are 50 years old and up, including trips to Austin and other parts of central Texas for activities and sightseeing. Whether visitors prefer doing outdoor activities or appreciating local dining options, Leander has something to offer. The city has several local parks that provide out-of-town guests with plenty of opportunities to stay active or relax. Benbrook Ranch Park features hiking trails, a playscape for kids, BBQ grills and a disc golf course. Visitors who have never tried disc golf before or those who want to test their skills can play a few rounds during their stay. Devine Lake Park offers boating, a picnic area, fishing and more. Those who are looking for adventure in Leander can give ziplining a try. Lake Travis Zipline Adventures, which is based in Leander, provides visitors with a chance to go zipping over the treetops for a few hours and get gorgeous views of the Austin area. Visitors can also ride bikes around Lake Travis or go hiking along trails near the water while enjoying the scenic views. For those who plan on doing some shopping and dining in Leander during their trip, the city has several places to grab a bite to eat. Those who want a taste of locally grown food can have a meal or two at Farm to Fork, which features homestyle cuisine. The restaurant’s seasonal menu is filled with delicious entrees made with foods from local farms. Leander also has a number of other restaurants, including well-known chains, ice cream parlors, barbecue joints and pizza places. Leander also has several department stores and other shops that visitors might be familiar with. Those who want a different shopping experience should make time to visit the Leander Flea Market, which is known as a hidden treasure in the city. To get started with your garage door repair, installation, or replacement, contact Action Garage Door in Leander today and let’s talk about the options available from the garage door repair company that has been caring for customers since 1984. Great and fast service! Definitely recommend them for any issues with your garage door. Brian was very professional and gave me great service. I would recommend this company to anyone. Thank you! Wonderful service and very knowledgeable service man! Our service man was great. He explained everything to us and quoted us a fair price. I was very pleased with the service I received on my garage door inspection and repair from Action Garage Door company. They provided same day service. The technician was very pleasant, efficient, knowledgeable and did not mind at all that I stayed with him asking all kind of questions, which he answered willingly. I highly recommend this company. Tech came over, looked at it, gave me a price and fixed the garage all within 35 minutes. Excellent experience. Got here quick and took care of the problem. Broken spring. Installed 5 new springs.